Missing textures for props from VMF. And i've followed all the steps, brushes have textures, models are loading correctly. But the props don't have textures! They're just solid colors. Also apparently when rendering/exporting i get another error! Although, im not sure if this is related. Re: Missing textures for props from VMF. For a reason that isn't 100% clear to me yet, there is a glitch in the importer that sometime the materials on props won't appear automatically right away. However, the material should appear if you select the prop and switch to the modify tab. 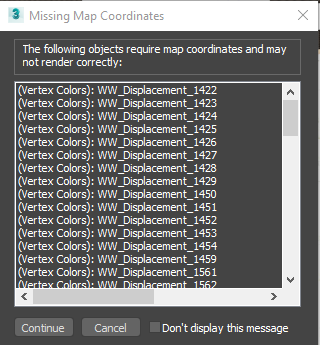 As for the displacements, you can ignore that message at render time. There is a checkbox when you see that warning: Don't display this message. It's because the render material is using a vertex color map but the display shader is using vertex alpha. I don't have time to explain this ATM but just ignore that render message. Hello. Sorry for the bump. I am encountering the exact same issue, certain objects like prop_static's doesn't show materials before I click on them. Most if not all brushes show materials by default. I've imported a relative large scene (1.5 million polys) at around 5k objects. The thing is, I'm going to use the map as a modification for another game, and it requires me to heavily optimize down to ~60k polygons (I'll retopologize most obj's). Select singular object > press 'H' (bound to "hide selected object") > repeat until everything's hidden > unhide all > convert all materials to 3ds standard materials (manually for each item tho some uses same materials so makes it a bit easier) > export selected objects in about 20 groups > import each group at a time and start retopologizing everything > etc etc. I'm fairly new to Wallworm tools and so I haven't decided to purchase the pro version yet - although if these issues do not exist in the pro version, I would definitely reconsider upgrading. I am sorry you are having this issue. I will write a macro to load missing prop materials in an update this week. Brilliant... thank you so much. would it be possible to batch convert prop materials to standard 3ds max materials? or is that a feature in the Premium version? Can you explain what you mean? 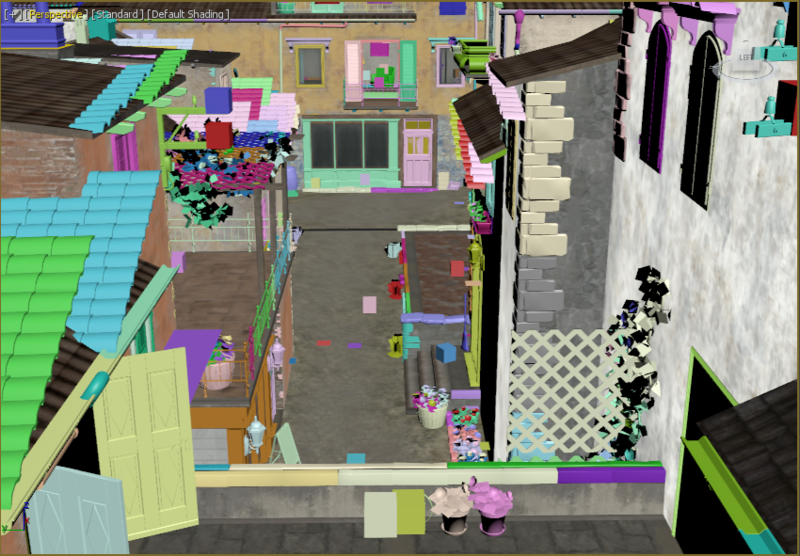 Prop materials are already turned into standard Max materials when loaded into the scene. This is not a premium-only function. I need more details on what you are asking.